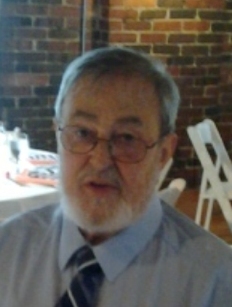 Robert W. Snyder, 77, of Fremont, OH passed away at Magruder Hospital in Port Clinton, OH on Sunday, December 10, 2017. He was born on January 5, 1940 in Fremont to Ronald W. and Julia (Minich) Snyder. Bob served in the U.S. Army from 1956 to 1959 during Peacetime. Bob married Marlene Hardy on January 6, 1960 and she preceded him on April 20, 1979. He later married Linda L. (Riley) Colson on September 9, 1995 at the Mull Covered Bridge in Fremont and she survives. He and Linda owned and operated Snyder’s Floor Covering Outlet in Bettsville for fifteen years. He was a member of AA for twenty-five years and enjoyed camping, bowling and golfing. Bob is survived by his wife of twenty-two years, Linda L. Snyder, Fremont, OH; children, Ron (Shari) Snyder, Fremont, OH, Krista (Justin) Szpila, Killbuck, OH, Robin (Eddie) Flores, Fayetteville, NC, Jon (Bobbie) Colson and Nate (Penny) Colson both of Fremont; sister, Patti (John) Gregg, Fostoria, OH; fourteen grandchildren and ten great grandchildren. He was preceded in death by his parents; children, Robert Jr., Randy, Patricia and Shawn. Visitation: Friday from 2 to 7 p.m. at Wonderly Horvath Hanes Funeral Home and Crematory, 425 E State St., Fremont, OH. Service: Saturday, December 16, 2017; 10:30 a.m. at the funeral home. Memorials: Alcoholics Anonymous, American Heart Association or Humane Society of Sandusky County. Many prayers for you all. Bob was a hoot to be around, have known have him for 27 years. Just won’t be the same without him. My love is with you all. You will sure be missed alot. I just want you to know that I have always enjoyed working for you and appreciate all your kindness. Wish I could have seen you before we left. And to your family, my thoughts and prayers are with you all. Linda, I am grieving with you, the loss of Robert after such a determined fight is heart breaking. I wish I were there with you in person rather than thoughts. Love and prayers to you and your family. You have our sympathy, Bob was a special guy and will be missed. God bless all of you, you are in our thoughts and prayers. Our prayers and thoughts are with each of you. Now Bob is with Dad, which is so special. I am Bob’s half brother in Colorado. As a child Bob spent time with us in Kansas, My brothers and I have special memories of our big brother. For me it was the tight legged pants, fashionable at the time, and mom tailoring those pants to Bob’s specifications. The responsibilities of life made all of us so busy and I lost touch with Bob over the years, I wish that wasn’t so. Please accept our condolences. So sorry to hear of Bobbie’s passing. My husband and I thought so much of him. I wish to extend our deepest sympathies. Our thoughts & prayers are with you all. Dad & Bob are no doubt fishing & bowling with Mom keeping them in line. He will be missed by all.